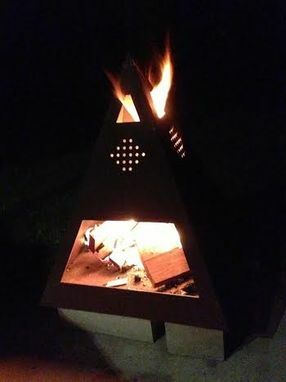 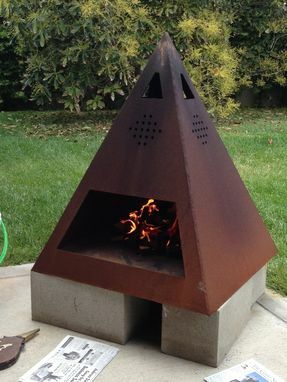 Triangle shaped welded steel chiminea. Naturally rusted for a rustic look. 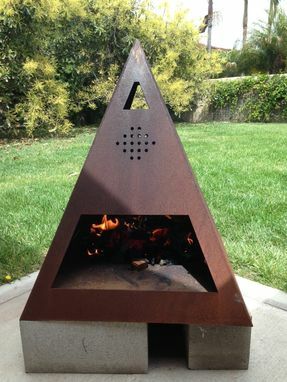 Perfect for any outdoor setting.